There are 153 reviews of Unforgivable. Paid $25 for it at Burlington. The dry down does smell like Creed MI. Like others said, it became a weak fragrance. I tested it out and and it become a skin sent after about 1 hour and pretty much the scent starts to fade away already at the 2 hour mark. The only reason I gave it a neutral is because I love the smell but sadly it doesn't last. Probably still use but it looks like it became a reapply throughout the day fragrance kind. At least it was only $25. This is a beautiful fragrance on its own that shares similarities with Creed's Millisimme Imperial and Bond No. 9's Wall Street. However I actually prefer this one to both. Sean John Unforgivable opens with a mix of to my nose tangerine, ocean water, and salted watermelon. It reminds me of the seaside and the ocean and is very reminiscent of Millisimme Imperial. I wasn't so fond of the opening when I first tried this, but it has definitely grown on me overtime. On the drydown, it gets sweeter thanks to an alcoholic sweet rum note that only appears then and is not in the opening. In my opinion the drydown is even better than the opening, especially on summer days. Sillage is moderate while longevity is on the stronger side. Overall it smells masculine, dark, mysterious, and does not smell like your average aquatic. The vibe I get from this is summer nights at the beach. It has grown on me to become one of my favourite scents of all time. To me, the opening is all green and bitter. I don't think this resembles MI at all. There's no citrus or sweetness to me. The drydown is worse, makes me nauseous. Unfortunately, performance isn't good either. Projection is poor and longevity is below average. This stuff used to be fantastic in its original form. Not anymore as it was been sold off and recreated. I actually liked the original SJU scent better than Millesime Imperial by Creed which smelled similar at 3 times the cost. Sean Combs created this cologne (or ripped it off from Creed actually) in 2005 with three versions available. The first was an extremely limited version which cost $400 and was only sold during the holidays in NYC. The other was a version loaded with essential oil and lasted all day long for $150 called Multi Platinum. I have looked high and low for existing bottles of this. All the Multi-Platinum bottles on EBay are likely fake. I have been screwed 3 times with fakes and gave up. Then, there is the original scent which was more mass produced and cost $60 and was available until around 2011 in its original formula. The old version lasted half a day or more easily. It was touted as being Sean Combs' ode to being on the beach resorts of Italy's Amalfi Coast and was said to contain notes of salty ocean air, Scicilian lemon, bergamot and verbena. I smelled lots of cola, salt air and citrus. It was so fresh and clean and really did smell like an Italian vacation in a bottle. After 2011, the cologne was discontinued and quickly picked up by a huge company that takes some of your favorite brands, buys them, figures out how to make them cheaper and then sells them in Walmart, CVS and other cheap retailers. You'll notice that is the only place you'll find Sean John scents. What is left is barely reminiscent of the original formula. Today's Sean John Unforgivable replaces the Scicillian Lemon with citrus on the orange side. The salt air note is gone and replaced by a pine needle scent which is the dominant note in the new version which smells like one of those cheap pine car air fresheners. This was the prevalent scent in the 'designer imposter' fake version of the original. There is also a synthetic leather smell which is added likely to attempt to replace the verbena. The scent no longer smells crisp and clean. It is more masculine and harsh like an astringent. Thankfully it only lasts 30 minutes whereas the original version lasted literally all day and into the night. The only thing that remained the same is the look of the black bottle which was inspired by a black apocathary bottle. I find myself wanting to buy Creed MI now to capture the original scent of SJU which is ironic because when it first came out, I was doing just the opposite. Creed's MI however has a bit more melon notes and is a bit more floral than SJU in its original form. It's also 3 times or more as expensive and has horrible longevity for the price. I'm hoping the original formula will come back but doubt it giving Diddy sold away the name, etc. There are stories about how Sean Combs would have his designers take apart Italian Brioni suits and have Chinese designers recreate the cut of the suit using Chinese labor in order to bring expensive style to the mainstream market. His $400 suits were cut relatively the same as $5,000 Brioni and featured cheaply done 'bells and whistles' such as working sleeve buttons, faux pick stitching at the lapels to replicate handmade garments and added faux ticket pockets, etc. The same thing was true of his colognes ... they were cheaper versions of his favorite handmade luxury colognes. Sean John Unforgivable was a very suitable copy of a Creed mainstay. The new version is nothing like the original, which is why it gets a big thumbs down from me. I'm giving it positive just because of the price. If it performed better, I would gladly pay more because it does smell great. Initially, it's performance was horrible so my review was negative, but lately I get a few hours more of it. Like squeezing a fresh orange in an abandoned dusty leather workshop. Makes my nose clog up. I used to like it at some point, but then realized I didn’t. Sean John Unforgivable - anything similar? 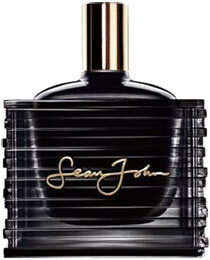 Why the different bottle designs for Sean John Unforgivable?